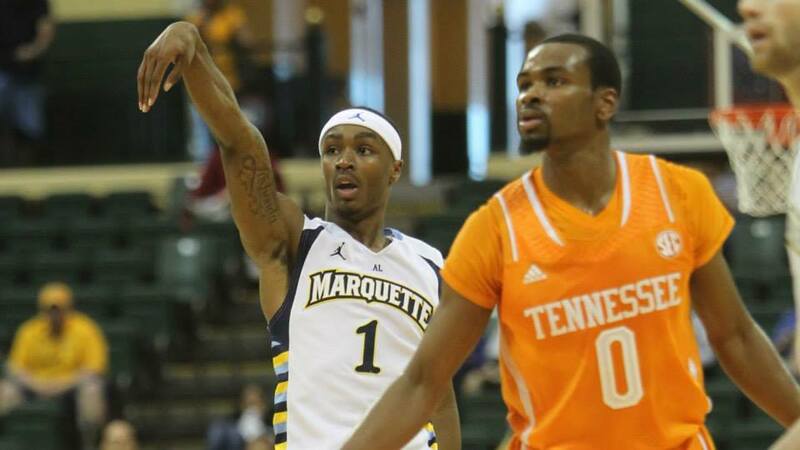 You are here: Home » How ‘clutch’ are Marquette’s point guards? With 20 seconds to go and Marquette down two against Creighton, I asked on Twitter who would get the last shot. The few responses I got pointed to Matt Carlino, who would go on to make those responders look wise. Having not looked some stats a few days before, I figured he would get the last shot simply because he’s one of Marquette’s only creators off the dribble. The fact that he has a reputation as a chucker, one that is invalid this season, also influenced my thought process. But intuition and secondary facts only go so far. It was time to dig in to the numbers. It’s notoriously difficult to define what “clutch” is. Game-winners like Carlino’s with seconds left and the score within two are easy to spot, but what about a 6-point game with four minutes to go? Everyone will have an opinion on when “clutch time” starts, but for the sake of this analysis, I limited my search to instances where there were less than 5 minutes left and the score was within two possessions (or 6 points). This can get a bit choppy, as going to the free throw line up by six would mean only the first attempt would count if made, while both would factor if the first attempt failed. This is by no means an exhaustive or fool-proof analysis, as I simply went by the available box scores, which can, and do make mistakes. (Derrick Wilson was credited with an assist on Carlino’s trey, even though Carlino took three dribbles and shot it six seconds after Derrick had handed it off). Furthermore, I only looked at the point guards, as my time was limited, but they have taken up most of the offensive possessions in “clutch time,” so I think that’s fair. To make a long story, you can argue “clutchness” 50 different ways, this is just one interpretation. To the results. 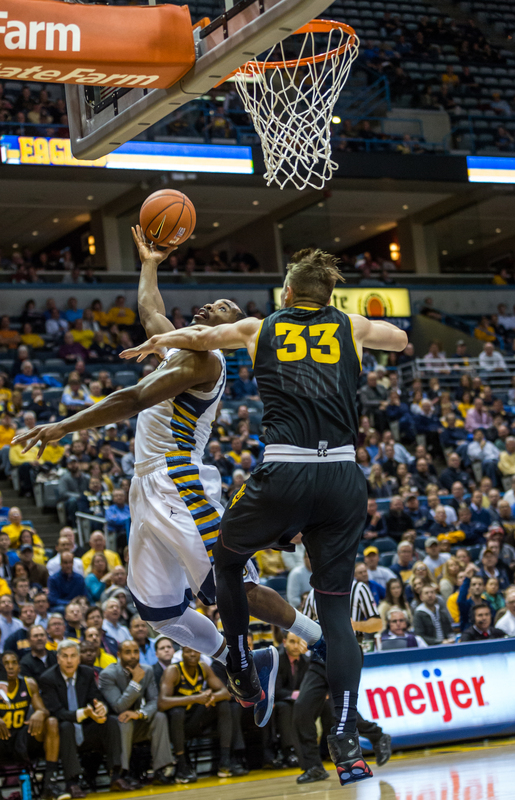 Carlino has been good in clutch situations for Marquette this season, leading the guards in points scored (21) and committing the fewest turnovers (1). 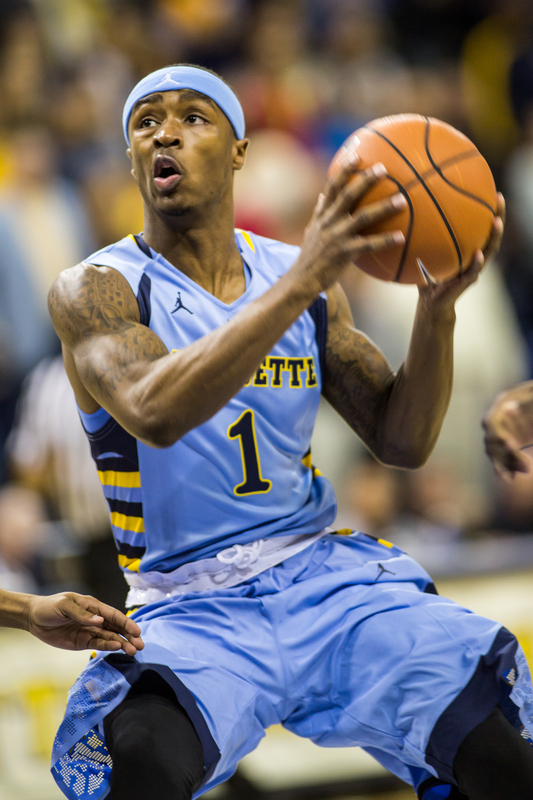 He has gone 12-14 from the free-throw line and hit on 60 percent of his twos (3-5). Surprisingly, he hadn’t made a trey until the one he hit on Wednesday, missing his previous three attempts. He has has his faults, though, needlessly taking it 1 vs. 2 after a steal with 16 seconds left in a 5-point game against Georgetown that pretty much ended the game and also turned it over down with less than 1:30 left against Wisconsin in a 6-point game. Combined with closing out Georgia Tech and finishing Creighton, you have to say he’s been good, though not great. 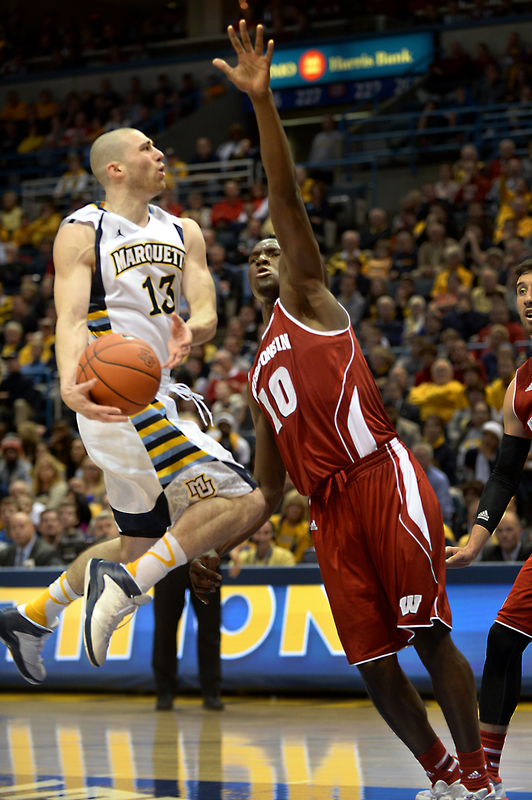 Duane has had at least one offensive possession in all of Marquette’s clutch situations and has done well, particularly for a freshman. Duane has scored 20 points and has yet to miss a free-throw, going 8-8 in clutch-time. He’s only committed two turnovers, though one was very costly against Georgetown with 1:44 left in a 1-point game. The Milwaukee native is 4-9 from the field, including hitting on 2 of 4 treys. One costly miss did come with 6 seconds left in the loss against DePaul. He had a decent look, but wasn’t able to knock it down. If it comes down to the charity stripe, though, Duane is the one you want. He helped close out NJIT with five freebies and hit both against Creighton in a tie game. Overall, another good clutch performer, and maybe even very good, when you take his experience level into account. Derrick is a limited offensive player that has exceeded most expectations on that end, low as they may have been. He’s more aggressive taking it to the rack, matched his career output on 3s prior to the season in one game and is stalwart in protecting the basketball. Yet, you do not want him anywhere near the ball in clutch situations. Derrick has yet to score a point in clutch time this season, missing all four of his free throws and his only shot taken from the field. He’s not a good shooter and definitely not a creator, duh, no news here. What is most alarming is that he has the most turnovers of the point guards in clutch time, turning it over four times in relatively limited time (he was subbed out of offensive possessions early in the season). One thing that I didn’t measure, as this was simply a look at clutch scoring, was defense. Derrick was vital in the final moments against Creighton, playing perfect defense on Artino and drawing a travel that gave MU the ball back. He also played Chatman well on the perimeter, not allowing him to penetrate and break down the defense. In short he has filled his caretaker role well and has to be out on the court for defensive purposes. But he is not offensively clutch. No where near it.